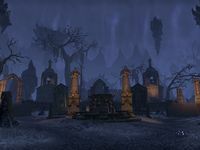 The Orchard is a large cemetery in central Coldharbour, across the Chasm north of the Hollow City. The Orchard Objective: Resolve the threat of the vampires in the Orchard. 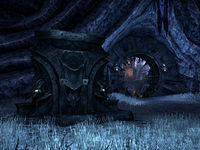 The Orchard Wayshrine is located to the south of the cemetery, in the exit passageway from the Chasm.